Make your loved ones smile this Holiday Season, and surprise them with their favorite perfumes! 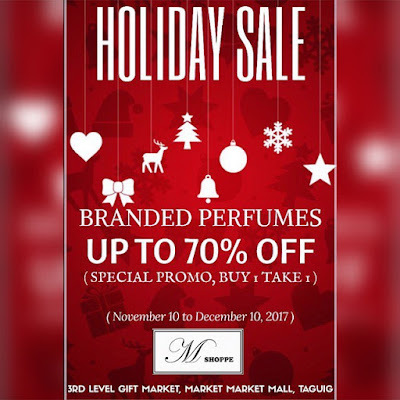 Check out MShoppe's HOLIDAY SALE happening until December 25, 2017. Get up to 70% off on branded perfumes. Take advantage also of the BUY 1 TAKE 1 SPECIAL PROMO! 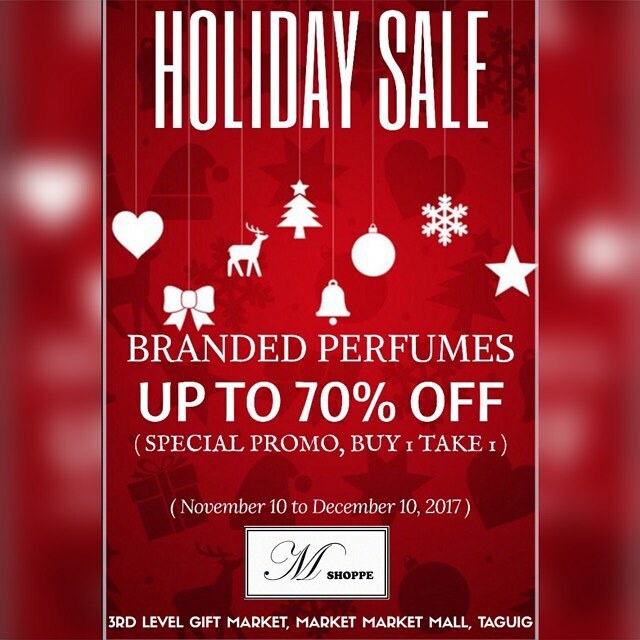 Visit MSHOPPE at the 3rd Level inside Gift Market in Market Market Mall, Taguig.